we’re very proud to announce the release of our first iOS game, made with love with UE4: Bovine Simulator, a casual iPhone and iPad game for cow lovers! 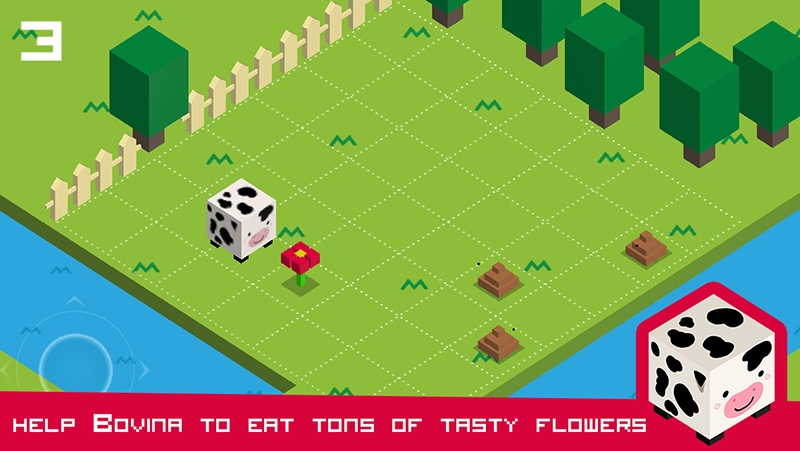 You play as Bovina, a cow that loves eating flowers more than anything in the world. 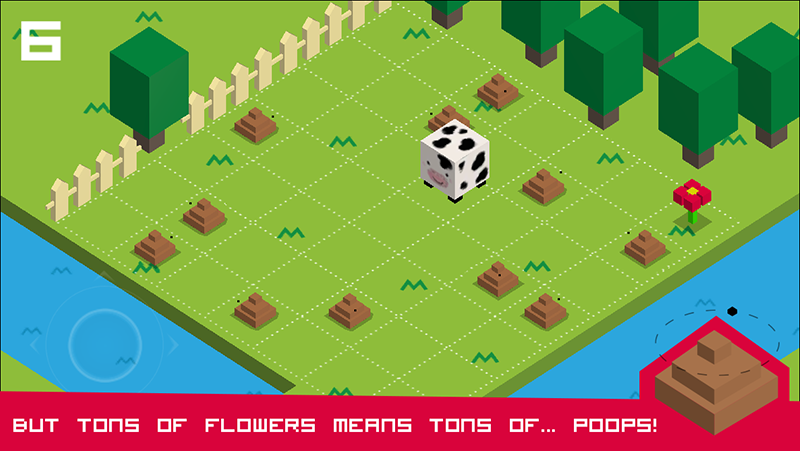 Jump in a grid level to reach one flower after the other, but watch out for... poops! There will be plenty of them, and Bovina could die, if she touches one. 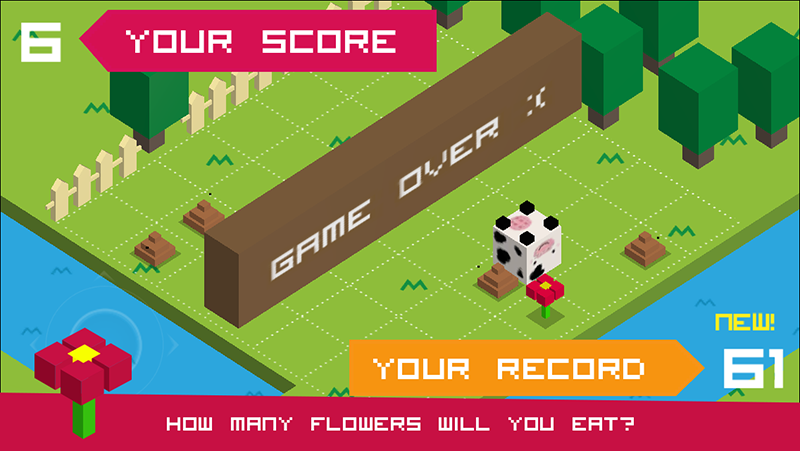 How many flowers will you eat? 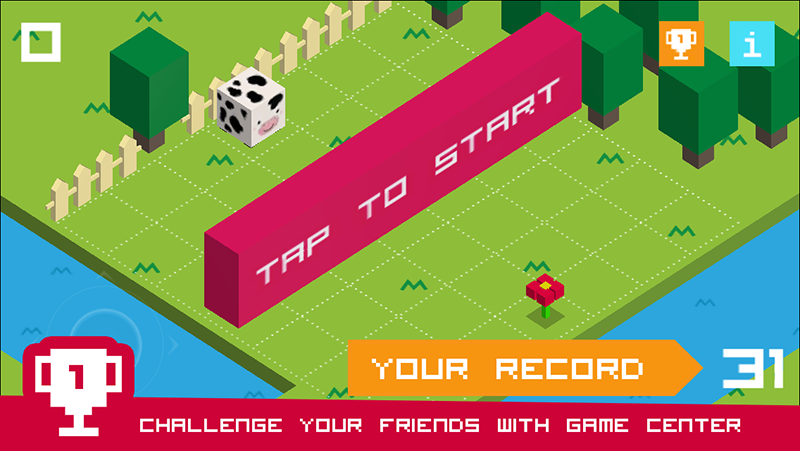 The game is compatible with iPhone5 and above, iPad 4 / Mini Retina / Air. My newest iPhone is a 4, so I can't try it, sadly. Any plans for an android release? Awesome job syncoff! I am definitely going to have to give this a try later on in the day. Keep up the superb work and have a great day! HAHAHA! Yess! This is awesome. Haha nice i like that. 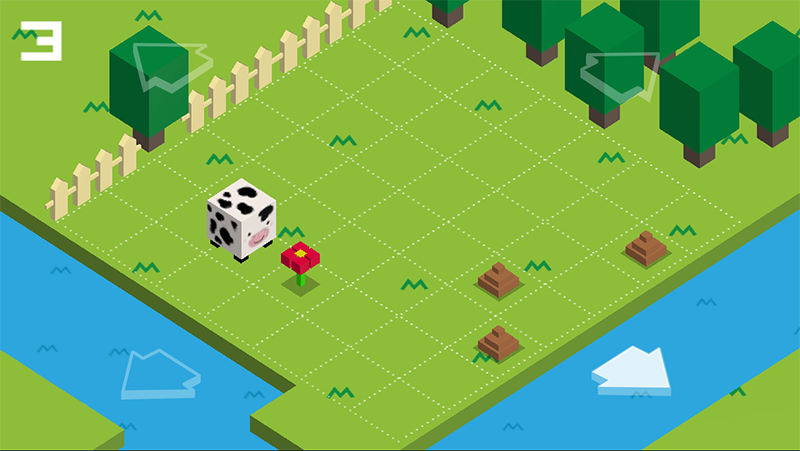 We were used to work with Cocos2D and had nearly zero experience with 3D design, but we started experimenting a little with UE4, and we end up making a small game!! 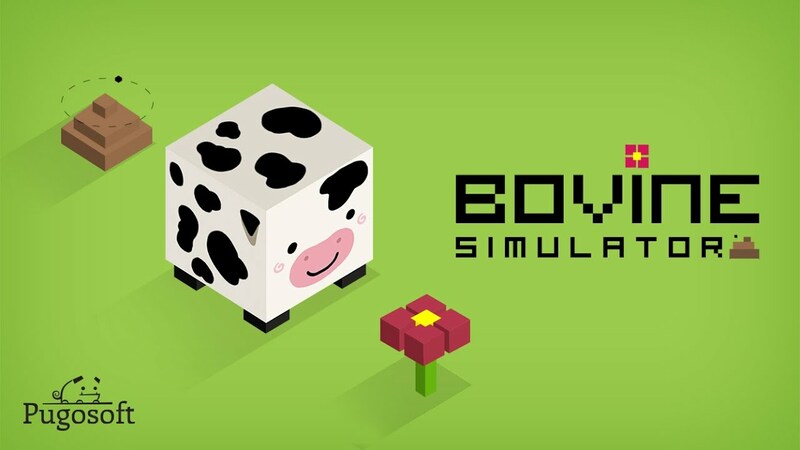 The idea is to wait and see how Bovine Simulator performs on the AppStore and, well, if it drains some attention we are defintely goint to try Google Play, too! We're receiving feedback about the game. People are impressed by the idea and the graphics, but they really have some issues with the controls. If you tried the game, you probably know what we're talking about. We decided to build a new control system, ad-hoc for the game. We want to replace the thumbstick with a four button system. We want to make them big (1/4 of the screen each), so that it should be natural where to touch, in order to change Bovina's current direction. We're building a woking prototype with UE4 too, but in the meantime we wanted to collect some feedback from real users. This is great, good job! I played it I think a swiping motion would be the most intuitive but what you are doing with the 4 sections might work. 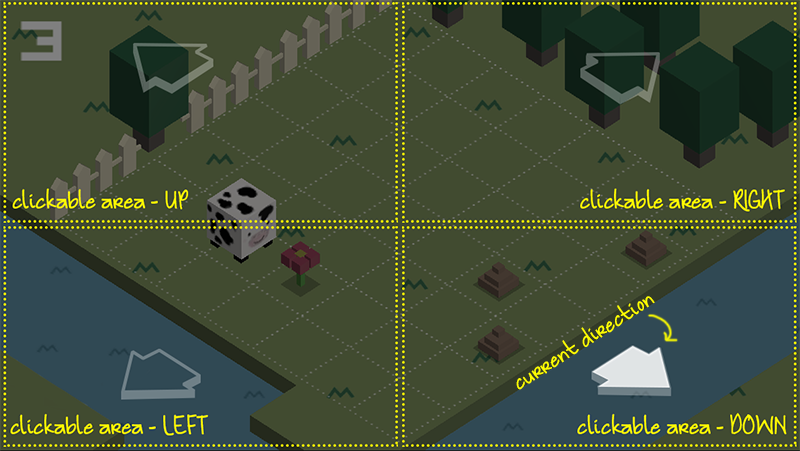 The joystick would work well if you could some how align the output of the joystick with the diagonal grid better. Last edited by rckt26; 10-14-2014, 01:46 PM. The update with new controls is finally available on the App Store (after many many days of waiting!). We built two different versions: the one with the 4 big buttons described above is for the iPhone, while we chose a smaller d-pad on the bottom left for the iPad (the device is big and you hold it with both hands: this way is more comfortable to use). Now the game should be more intuitive, letting you concentrate on strategy instead on trying to turn Bovina in the correct direction. @rckt26: thanks for the feedback. You're not the first one to suggest us to use a swiping motion, actually. We tried both, but we chose the buttons because it felt more "precise" (probably easier for us to develop, too), and we really wanted to make the game as intuitive as possible. Great concept, this is refreshing take on snake games. Well if cow pie game may be called refreshing. And i clicked this only to see what Bovine means.